I can't seem to post a comment on this topic in the Hereford Times today. I am not sure what it is that the HT do not like so I am posting the comment on here. I feel that there should be a maximum prize of £10 milllion. There is only so much an individual needs to live on, the rest is wasted on meaningless bling usually suggested by family, friends and advisers. £70 million split across more winners (say 10), the money would enter the local area and stimulate the economy. One big winner will spend maybe £10 million and then be advised by the vultures in the city to put the rest in funds boosting their bonuses. The net worth of the wealthiest 0.1% of Americans almost equals that of the bottom 90% combined. The combined wealth of Zuckerberg ($62.3 billion), Bezos ($131 billion), Brin ($49.8 billion) and Page ($50.8 billion) is larger than the combined wealth of the bottom half of the American population. Is this what we all wish for? They have posted comments I have made concerning the above. Far too much for one person to win - only hope that he can see through the vultures and listen to the few sensible financial advisers..Hope some local charities and good causes will benefit from this win. Lost publicity opportunity for Herefordshire by holding the PR presentation in Malvern. Well done to the winner and we wish him all the best, enjoy your winnings! The lottery winner seems to have opened a Twitter account in March 2019. Maybe even today or yesterday. 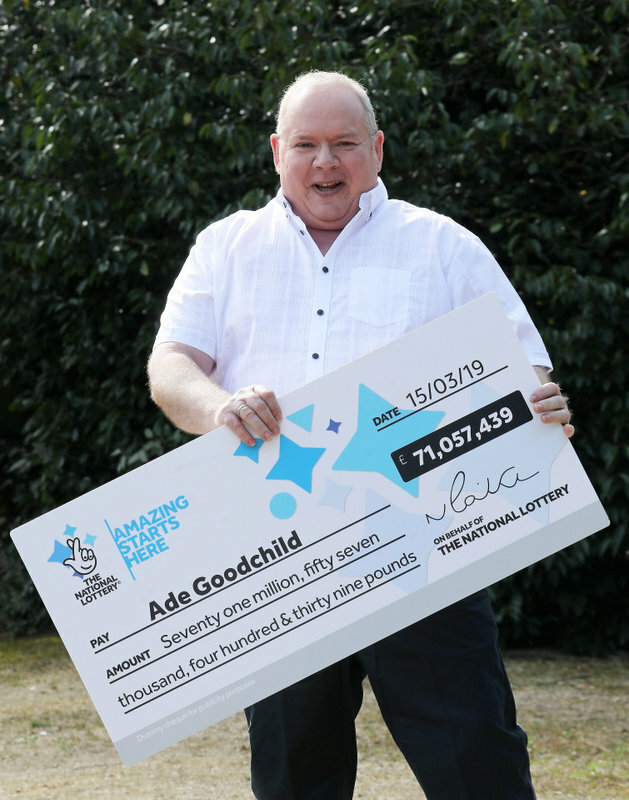 Purporting to be offering 10 x £1M prizes via Twitter, on a random basis, for following/retweeting his prize offer. He has attracted 7605 followers ~ 15 of which I know. The account is unverified by Twitter. I don't know if the account is genuine. The Twitter account is now 'suspended'. I would guess that it was a totally rogue account. I obviously never 'followed' or retweeted the content! The Twitter is being bombarded with begging requests ..... Despite the winner NOT having a Twitter Account. As detailed by Wales Online .... A story oblivious to the HT! Good luck to the man, he purchased his ticket and was lucky enough to win big, now go and enjoy the rest of your life.